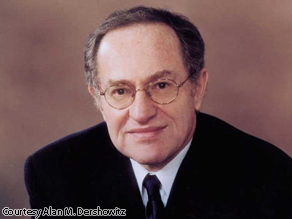 DERSHOWITZ: CASE AGAINST THE GOLDSTONE REPORT……. – The Tundra Tabloids……. DERSHOWITZ: CASE AGAINST THE GOLDSTONE REPORT……. NOTE: The Tundra Tabloids takes great pride in learning that Front Page Mag uses a Tundra Tabloids’ photoshopped picture of Goldstone that heads the article. The Goldstone Report is much more scurrilous than most of its detractors (and supporters) believe. According to the report, Israel used the more than 8,000 rocket attacks on its civilians merely as a pretext, an excuse, a cover for the real purpose of Operation Cast Lead, which was to target innocent Palestinian civilians—children, women, the elderly—for death. This criminal objective was explicitly decided upon by the highest levels of the Israeli government and military and constitutes a deliberate and willful war crime. The report found these serious charges “to be firmly based in fact” and had “no doubt” of their truth. In contrast, the Mission decided that Hamas was not guilty of deliberately and willfully using the civilian population as human shields. It found “no evidence” that Hamas fighters “engaged in combat in civilian dress,” “no evidence” that “Palestinian combatants mingled with the civilian population with the intention of shielding themselves from attack,” and no support for the claim that mosques were used to store weapons. That Hamas did have a deliberate policy of having its combatants dress in civilian clothing, fire their rockets from densely populated areas, use civilians as human shields, and store weapons in mosques. What is even more telling than its erroneous conclusions, however, is its deliberately skewed methodology, particularly the manner in which it used and evaluated similar evidence very differently, depending on whether it favored the Hamas or Israeli side. I have written a detailed analysis of the Goldstone Methodology, which is now available online. 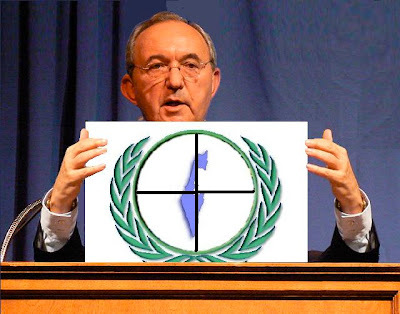 It is being sent to the Secretary General of the United Nations for inclusion in critiques of the Goldstone report received by the United Nations. This analysis documents the distortions, misuses of evidence and bias of the report and those who wrote it. It demonstrates that the evidence relied on by the report, as well as the publicly available evidence it deliberately chose to ignore, disproves its own conclusions. Previous Post Previous Post UK: GORDON BROWN ALL SET TO BRIBE THE TALIBAN……. Next Post Next Post OBAMA WANTS 53 MOON-GOD WORSHIPPING JIHADIS PERMANENTLY IN THE US…….